«My greatest achievement» illustrated quotation. Raising children, free quote pictures for Facebook, Twitter, LinkedIn, Reddit, Pinterest and other social networks. Having children is my greatest achievement. It was my saviour. It switched my focus from the outside to the inside. 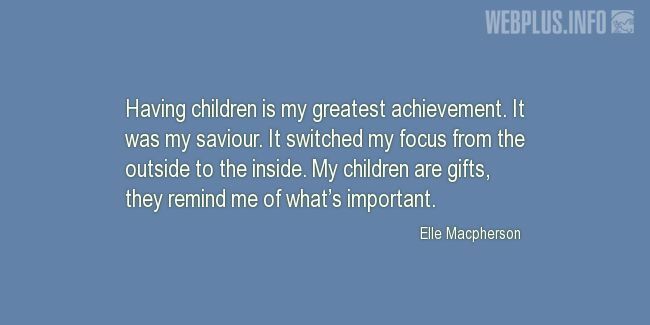 My children are gifts, they remind me of what’s important.